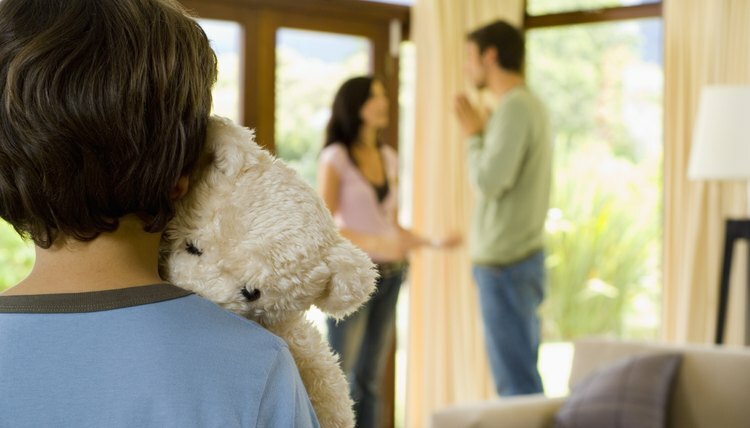 According to Ohio law, divorce is a civil lawsuit to end a marriage that occurs when the husband and wife cannot agree on how to resolve their problems; the court makes the final decisions concerning property division, spousal support and child custody. This differs from a dissolution of marriage, which, according to Ohio law, occurs when the parties mutually agree to terminate their marriage. Neither party has to prove grounds to end a marriage by dissolution. If spouses share property, they should understand the legal standard followed by the court when dividing their property in the event of a divorce. In Ohio, state laws use the term "marital property" when describing property to which both spouses may share rights. Ohio defines marital property, to which the spouses will likely share rights in the event of a divorce, as property acquired during the couple's marriage. Marital property can include real estate such as the family home, bank accounts, investments, retirement plans and other types of assets. During a divorce case, the court must make a determination as to whether each asset is marital property or separate property, unless the spouses can reach an agreement on their own. The court presumes that property gained during marriage is marital property to be shared by the spouses, while property gained before marriage is likely one spouse's separate property. However, Ohio makes exceptions under some circumstances and establish items of marital property as separate property. For example, a spouse can keep as separate property any assets gained during marriage through an inheritance or gift. In addition, the appreciation in value or gain in income from a source that is separate property will likely also become a spouse's separate property unless the other spouse can prove the gain in value resulted from that spouse's efforts or labor during marriage. If a court must divide the marital property shared between two spouses, the court must make its decision based on the list of factors set forth in the Ohio Revised Code. For example, the court may review the duration of the couple's marriage, spouses' assets and liabilities as identified during the divorce proceedings, liquidity of the couple's shared property and potential tax consequences, as well as other factors. State law directs the court to consider any additional factors which may be "relevant and equitable." When dividing the couple's marital property, the court must make an equal distribution, although the court does not necessarily need to split the couple's assets exactly 50-50. The right to continue living in the family's home may become a contentious issue during divorce if both spouses want to keep the house or if one spouse wants to live in the house but needs spousal support to afford it. When spouses share a home that is marital property according to Ohio law, a court may divide the property according to the state's standard for equitable division. However, Ohio property division factors specifically allow the court to consider a custodial parent's request to remain in the family home with the children as one of the factors for a property award. Therefore, a court might be more likely to award the family home to the custodial parent. Ohio Revised Code: Section 3105.171 Equitable Division of Marital and Separate Property - Distributive Award. Property division is one of the most important issues a divorcing couple faces -- and sometimes one of the most contentious. North Carolina law provides guidelines for North Carolina courts to consider when dividing property, and spouses can reach their own property division agreements instead of asking a judge to decide for them. Who Gets the House in a Divorce in North Carolina?